Need to make sure only the certain people are watching your videos? Add a password to the beginning, and only share it with the right people. This video requires a password to watch. Click on the play button to check out the feature. Solve the riddle to watch the video! If you’d like to add a password to your videos, you’ll want to head to the video within Wistia. 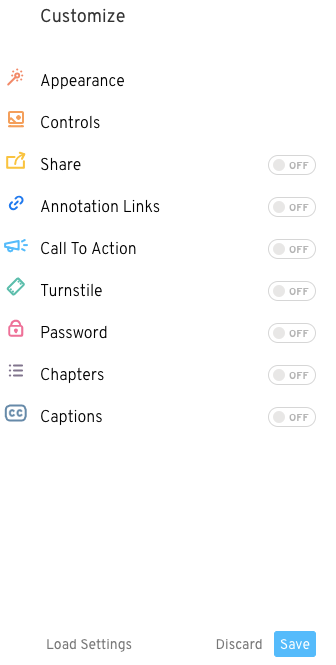 From the ▸ Video Actions menu, select Customize. This will open the Customize panel. 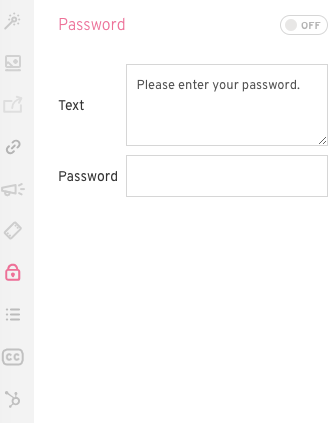 In the Customize panel you should see a menu for Password. Make sure to turn the option to on ◉, fill in the top text (or leave it blank), and choose a password. Don’t forget to Save your settings, and you’re good to go! Just a friendly heads up, this password will be universal for every viewer. Each viewer will be required to enter the same password in order to watch the video. If you’d like to apply more fine grain permissions, we recommend checking out our private sharing page. There’s a few things to remember when picking your passwords. Spaces, special characters, and numbers are all included in the password. Anyone with access to the Customize panel on a video (any Collaborator with Admin or Upload permissions) can update the Password. So make sure to only invite people to your project that you trust. We have made great improvements around the security of your videos that are password protected. To get a bit technical, when the page and your (password protected) video first load, we only load the thumbnail and omit the references to the video assets. Once the correct password is entered, we return those video assets right away and your viewers can begin watching the video. This is the best way to ensure your video assets aren’t on the page prior to when the password is entered, and is the best protection for your Wistia videos. If this level of security is not strong enough for your use case, we recommend using our Private Sharing functionality instead. Heads up: the Password feature does not work in IE9 or below. If your audience will mostly be watching the video in older versions of IE, we do not recommend using the Password feature. Next up, let’s add some Chapters to our video!